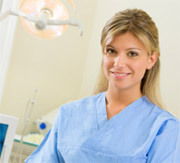 My SmileGuide is a program of About Smiles, Inc., the leader in innovative oral health solutions. Our oral health tracking and education technology is designed to boost business development, improve oral health marketing and public awareness efforts, optimize overall health and wellness, and reduce healthcare costs. My SmileGuide provides health insurance and wellness providers, corporations, schools, universities, and product vendors with a cutting-edge approach to promoting oral health. My SmileGuide improves access to and awareness of oral health solutions and increases both oral health service utilization and preventive dental care visits. About Smiles, Inc., also supports healthcare professionals through continuing education programs, publications, newsletters, and other services to enhance healthcare practice.